Theresa Calantoni became at realtor upon graduation from high school, and a broker at the tender age twenty-one. At twenty-seven, she opened her own real estate company; the Capstone Real Estate Group. Today, champion golfer and thrill seeker Theresa Calantoni runs a business within a business and leads a team of five licensed members to expertly maximize a warm database of over 1000 clients. 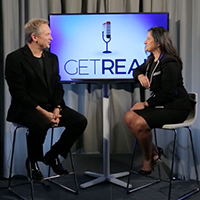 Tune in to this interview as Theresa gets real and learn how to build a dynasty through partnerships and win-win thinking.